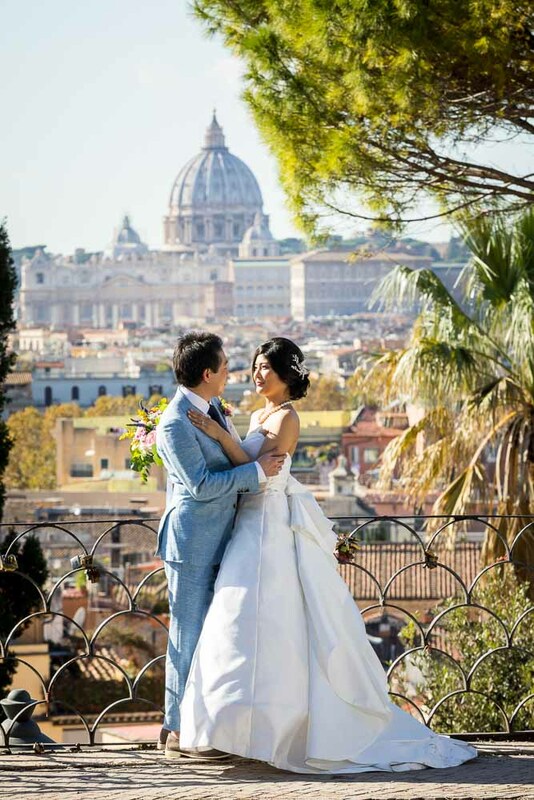 What a sensational Bride and Groom photo session in Rome this turned out to be! Welcomed by a beautiful sun shining day in the Eternal city of Rome. 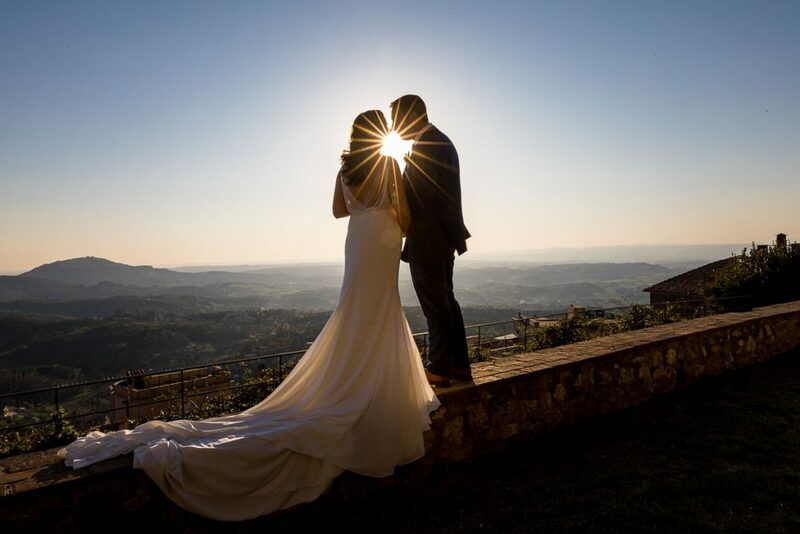 A perfect day to take unique and creative images around some of the most scenic and panoramic locations. Where the wedding day photo shoot started with the hotel hair and makeup bridal preparation. With the car service with driver waiting down below. 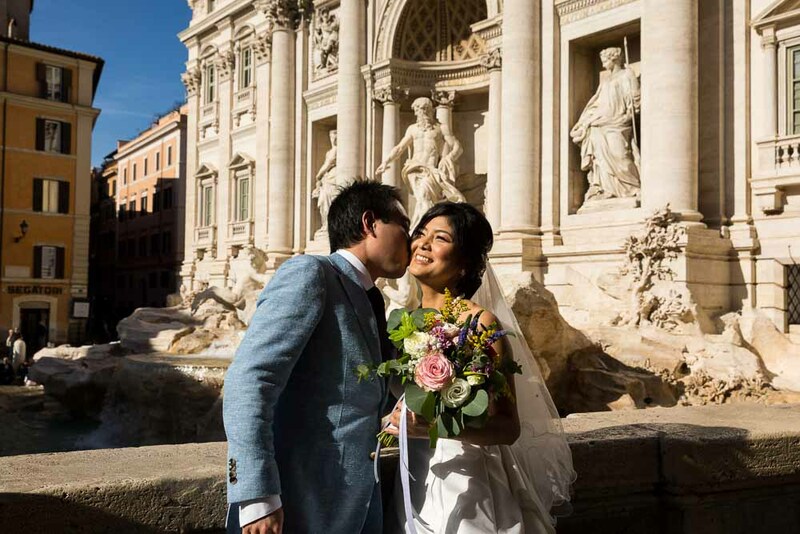 Then we were first off to the Trevi fountain to begin with some posed couple portraits. With this admirable and striking water fountain in the background. Trying to find the right balance between sunlight and avoiding too many people in the picture frame. Our next stop was the Spanish steps. 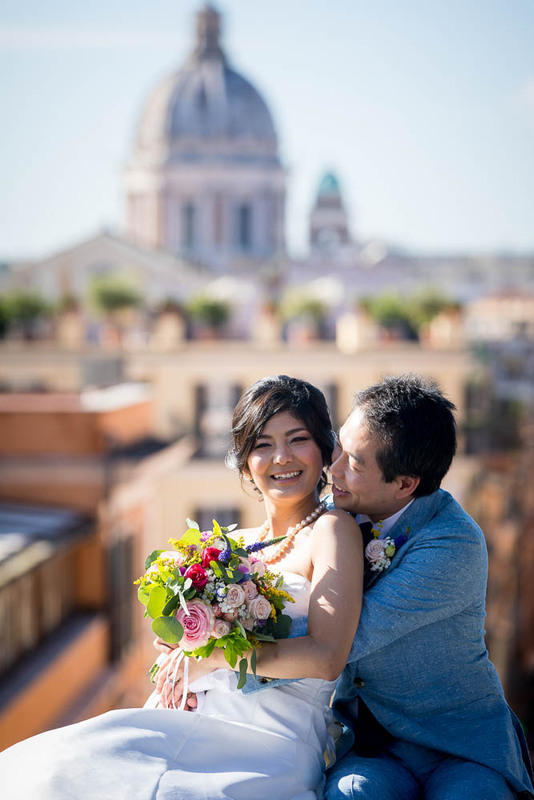 With the spectacular church Trinita’ dei Monti in the background. And the beautiful view over Via Condotti from the marble balconade. 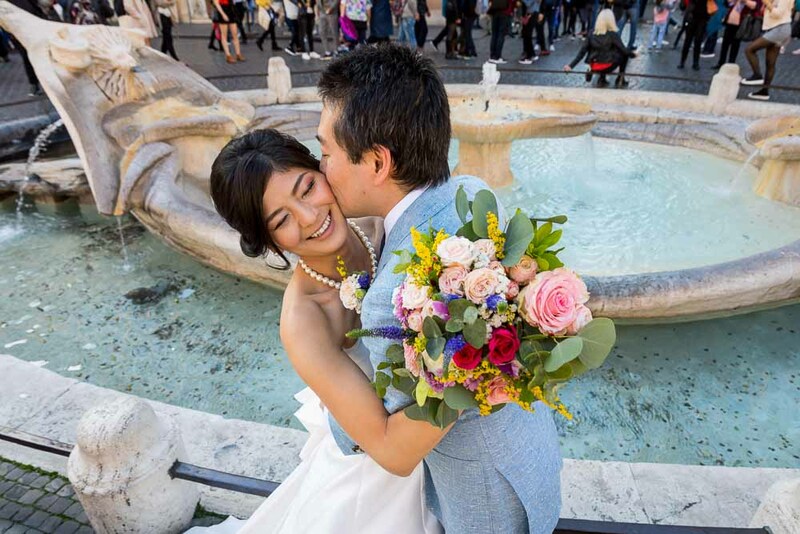 Including some final fantastic bride and groom pictures down below by the Barcaccia water fountain. Portraits, artistic shots and some funny pictures! 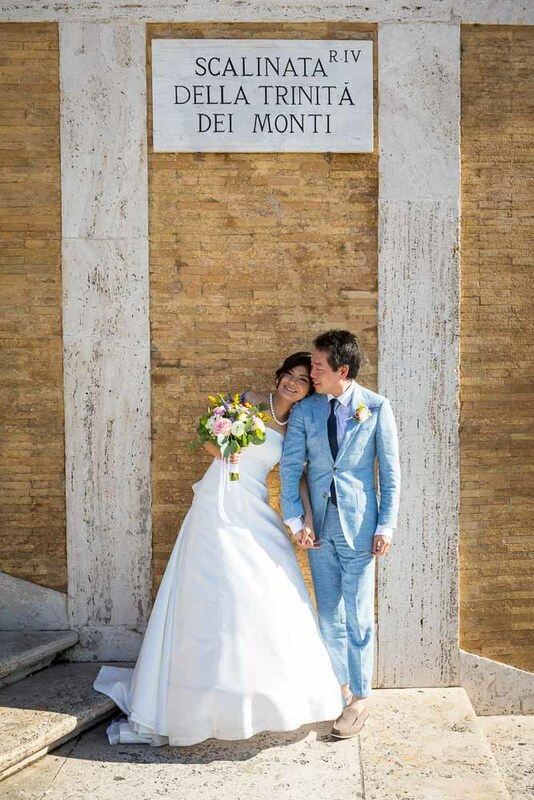 The Destination Wedding Photography continued with some nice portrait pictures taken at Parco del Pincio. 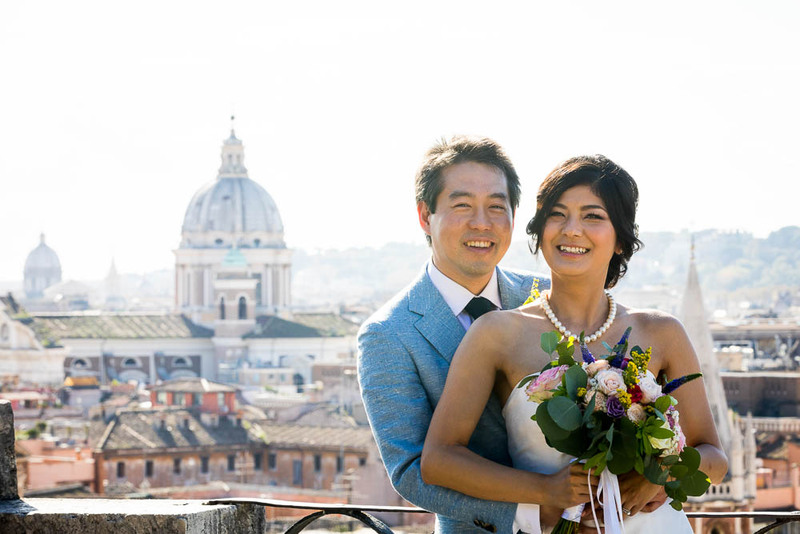 With an incredible view over the roman rooftops and skyline. 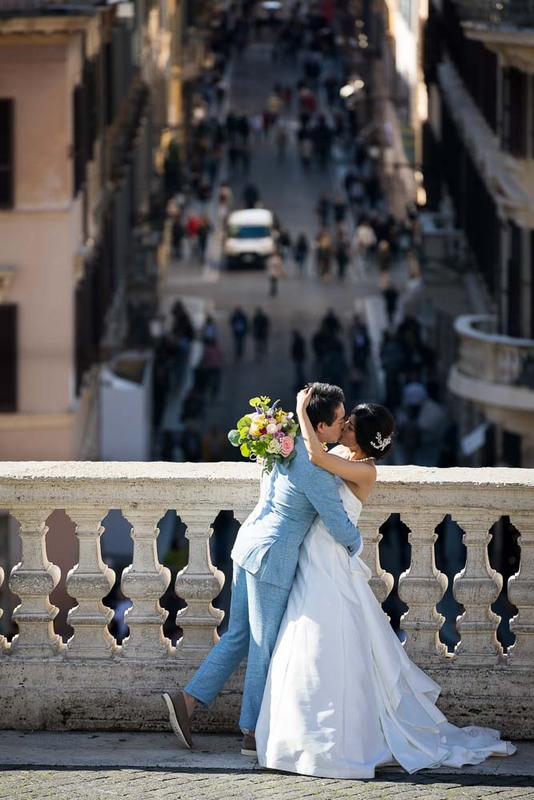 As well as some walking around pictures in a typical Italian atmosphere. Then we were off to Piazza Navona where a wide of range of shots opened up. Ranging from posed portraits as well as some candid shots. 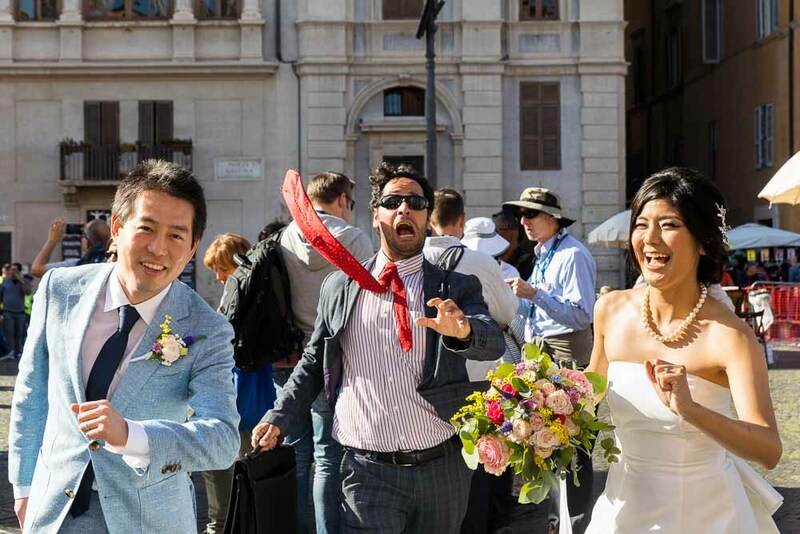 And some fantastic improvised newlywed dancing right there in the square! Thanks to a street artist musician band. As well as some fun pictures with the help of an amusing and unique mime actor! 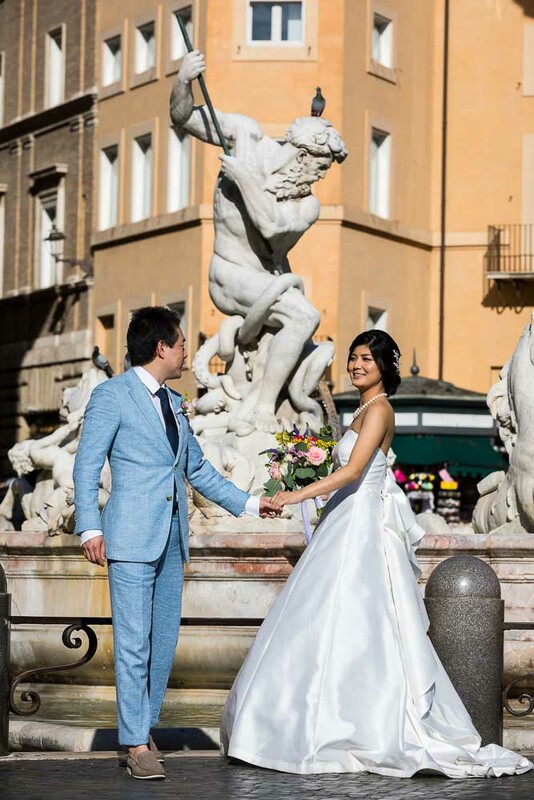 Concluding the photo shoot with some posed bride and groom pictures by one of the beautiful water fountains found in the square. Our last and final destination was Piazza del Campidoglio. 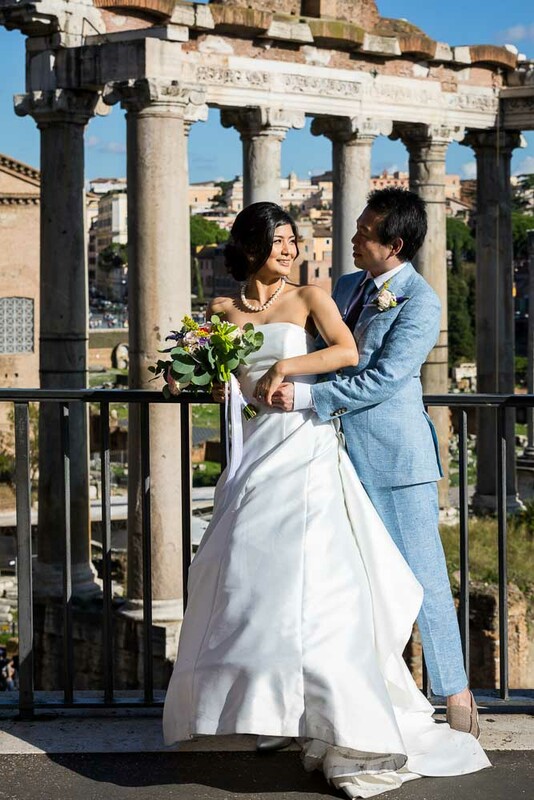 Where we photographed by the ancient ruins found in the roman forum. As well as pictures by ancient colonnade with the light shining through from the side. 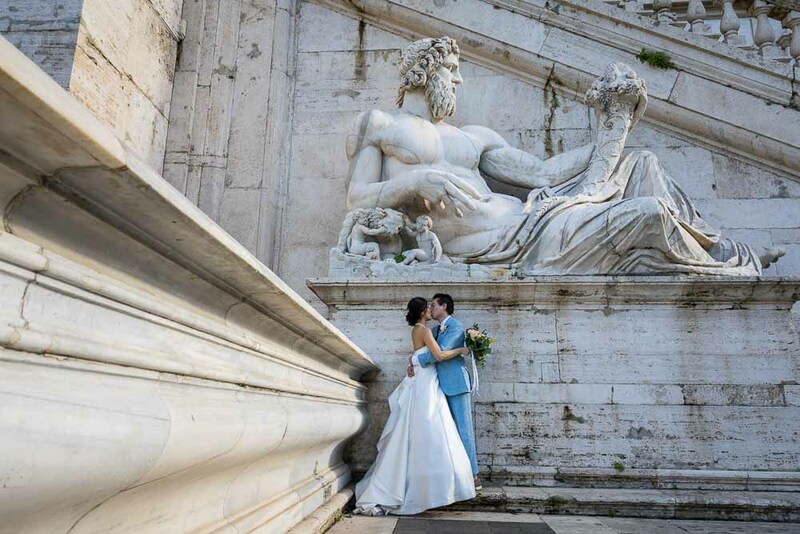 And a final newlywed picture under an ancient marble statue!